The Mueller investigation is not only an indictment of Trump and his family, but of any entire economic system. No wonder people are looking for new economic alternatives. Americans have developed an odd fascination with wealth. Most are not sure how vast amounts of money are accumulated and when it happens to someone, it generates a mysterious fascination about how much luck, personal connections or esoteric knowledge could be bestowed on one person and not another. When people see others with vast wealth, it can also raise some serious introspection. Why them and not me? What did I do wrong? Or, is there something they know that I don’t? 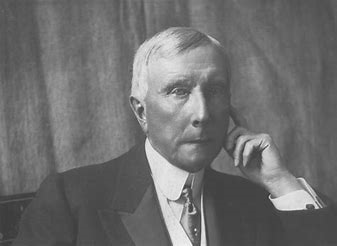 America’s first billionaire and at the time, the richest man in the world, was John D. Rockefeller, the founder of the Standard Oil Company. In 1913, his wealth was estimated at $900 million, which was the equivalent to $189.6 billion today. In the period before income taxes, his was worth more than Bill Gates, Warren Buffett, and the Walton family combined, according to Wealthymatters.com. But, this happened in a different age. Rockefeller, a Northern Baptist, attributed his success to a firm belief in God’s benevolence and the teachings of John Wesley, who said, “gain all you can, save all you can, and give all you can.” Rockefeller followed this throughout his life and regularly gave 10% of his salary to the church. He later expanded on this and became one of the most philanthropic people in U.S. history, establishing foundations and trusts that made large contributions to the University of Chicago, Spelman College, Denison University, University of Chicago, Rockefeller University, Yale, Harvard, Columbia, Brown, Bryn Mawr, Wellesley and Vassar, as well as efforts to advance education and medical research. To stimulate conversations, he also gave away shiny dimes to strangers, especially children, and told them to save money. “The shiny dimes that Rockefeller handed out were a symbol and a sermon. The little gift was a token and a good-luck piece. In a broad sense it emphasized thrift, but not as a sure road to wealth, rather as a way and a habit of life. Rockefeller gave out some $35,000 worth of dimes to children during his lifetime,” according to the site Wealthmatters.com. Flash forward to today and we have a very different view of the wealthy. While it is certainly true that many wealthy people worked hard to earn their higher life styles, many people are suspicious of other billionaires and how their money was accumulated or if they had access to loopholes that average citizens cannot access. Of course we know about how income disparity and wage stagnation for large parts of the middle class contrast with the gross displays of money from hedge fund managers, top executives, lobbyists and the politically connected. Economic inequality has all helped contribute to the suspicion that making huge amounts of money is too often associated with some sort of legal gimmickry, political fraternity, tax avoidance or just plain criminality. These are all reasons why the investigation of Donald Trump should hold a great fascination for millions of Americans. This investigation will provide the inside look at the faux side of the “Lifestyles of the Rich and Famous” that Trump and his family mimic. Soon, the Mueller investigation and the projected hearings from the new Democratic House majority will show how Trump’s version of capitalism generated billions and how those same methods would never be followed by any publicly-traded American corporation. Once we see how Trump made his money, we will also see one of this story’s great ironies: If Trump is such a great businessman, American corporations should be lining up now to make him a great deal to access his business acumen. But where are the corporations who want to hire Trump, Kushner, Ivanka and others? They must be hiding behind the trees because none have publicly come forward. 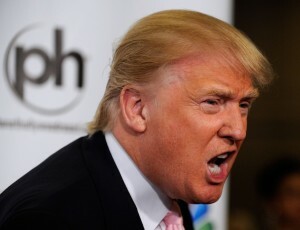 Maybe the myth that Trump is a great businessman is over, so no respectable American corporation would ever hire Trump or any member of his family as a consultant or board member. This sad reality is certainly not lost on the Trumps. It also may explain their blatant, accelerated greed as it makes worldwide deals on any cash generating scheme ranging from licensing deals to real estate purchases. The decades-long exposure of public corruption in governments worldwide, combined with the unprecedented wealth gap, burdensome tuition loans and constant pressures of a consumer society have sored many people on the current economic system. More people are becoming skeptical of the benefits of unregulated capitalism, including some conservative financial commentators on FOX. See this video. So how will the Mueller investigation affect these survey results? We’ll certainly wait, but my bet is that the billons Trump and his family claim to hold are not the result of hard work millions of people engage in daily for a weekly paycheck to pay their bills. Unlike Trump, average Americans pay their bills and taxes, and cannot rely on money laundering schemes or political connections to find their next big job. Contrast this to the money Trump and his businesses owe to banks, contractors and creditors. These estimates range from $315 billion (according to Business Insider), to $250 million (Wall Street Journal) to $1.8 billion (The Independent). The average American knows that collectors will quickly contact them when they fall behind on household bills that would be the equivalent of a few hours of interest on any Trump loan. This raises the question: how does he get away with it? Why the double standard? We will find out soon. But the bottom line is that the Mueller investigation is not only an indictment of Trump and his family, but of any entire economic system. No wonder people are looking for new economic alternatives. If capitalism produced Trump and his excesses, some of them criminal, what hope is there for the average citizen who goes to work daily to make ends meet?